She recommends using gold, black for the straight stripes and other coordinating colours for the triangular sections. I searched through my stash and found various colours of leftover bits and pieces of worsted weight wool to use for this project. The pattern uses the term ‘turn’ to describe knitting one row and back again. 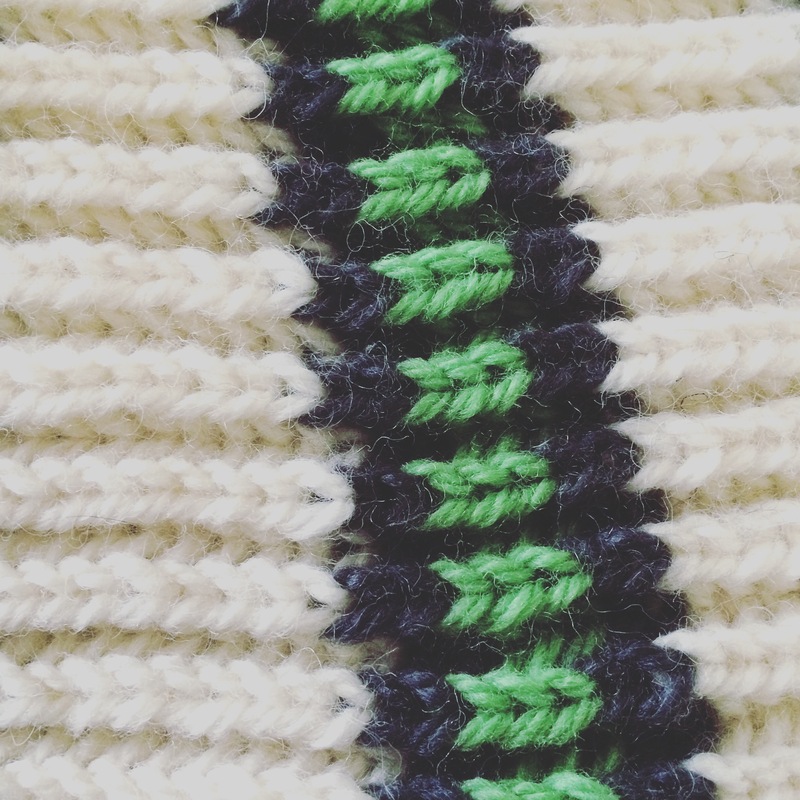 The first line of the pattern describes how to do the Brioche knitting stitch. 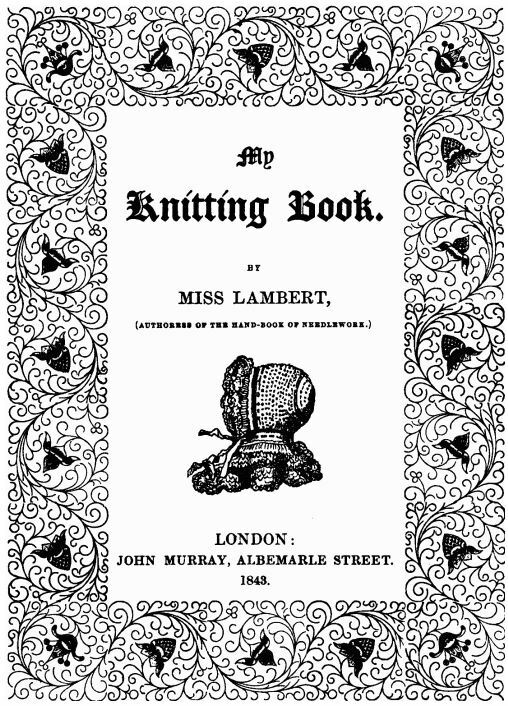 Then, Miss Lambert asks the knitter to knit several turns to form the straight stripes. Immediately, I was confused, did Miss Lambert want her reader to use the Brioche stitch or plain knitting? At first I tried using plain knitting for the straight stripes which resulted in a weird look next to the Brioche stitch used in the triangular stripes. My experience so far with this book is that Miss Lambert’s projects are simple (and generally not weird looking!) so I decided to frog and try again, assuming that when she says to knit, she means to knit using the Brioche knit stitch with much more success. I am one segment into the project and I am greatly enjoying the squishy feel of the Brioche fabric and the use of short rows with Brioche stitch! I’ve only made one thing with brioche stitch so far and that was a dishcloth. I can’t imagine doing short rows in that stitch. I do love that it is so squishy though! I bet it will make an amazing pillow.